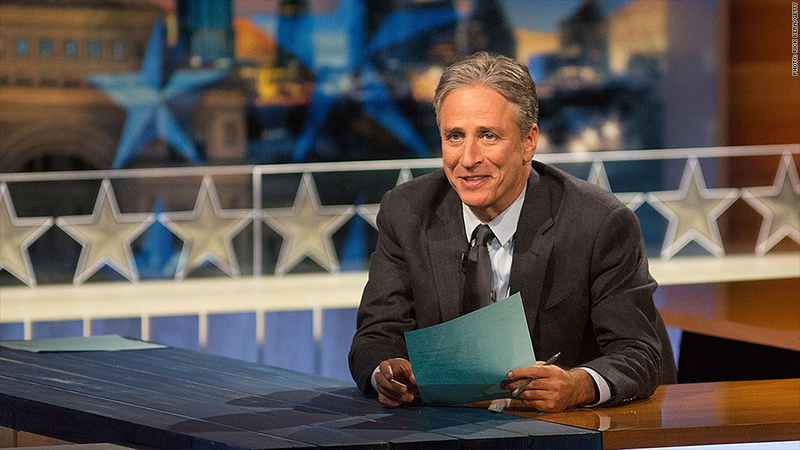 What's next for Jon Stewart? "The Daily Show" host Jon Stewart is thinking -- "a lot," he says -- about what's next for him. Could what's next be a straight newscast instead of satire? He's certainly not ruling it out. Stewart, who was approached by NBC about moderating "Meet the Press," told New York magazine that he's contemplating his future. His "Daily Show" contract is up in a little less than a year. He confirmed that he met with NBC News executives about "Meet the Press," but "spent most of it telling them what a crazy idea I thought it was." When the interviewer, Chris Smith, said to him, "And the truth is that you're holding out for Brian Williams' job," Stewart jokingly responded, "That's right. No. I want to be the first male host of 'The View.'" But then he added this: "Which is not to say that at some point maybe there will be another iteration of this conversation." This conversation ... about leaping from Comedy Central to a network that makes the news rather than laughs about it? Potentially. Stewart has dropped hints about it before. When Smith asked whether the 2016 presidential election might motivate Stewart to stay at "The Daily Show," Stewart said yes, but added, "part of the thing to remember is this is not the only process by which you can work material, and sometimes it's more important to step back and reconfigure a conversation than continue the same conversation because you know how to do it." This might all be bluster ahead of contract renewal talks between Stewart's representatives and Comedy Central. But Stewart sounds like a man who's ready to try something different. Stewart is also doing press for his directoral debut, a film called "Rosewater," and he may choose that path instead of comedy in the future. His protégé Stephen Colbert, meanwhile, already knows what's next: Colbert is ending his Comedy Central show in December and is preparing to take over "The Late Show" on CBS next spring.